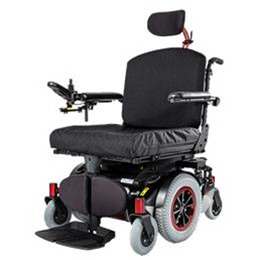 The mid-wheel Heavy Duty Quickie® XCEL 2™ features an Advance Geometric Design (A.G.D) which helps enhance the stability, mobility and freedom for the end user. Engineered without comprise the Excel 2™ offers a weight capacity of 550 lbs. a bariatric CG power tilt and a Bariatric power recline option, heavy duty elevating legrests or center mount for the best comfort. Seat Width 20" - 28"
Seat Depth 17" - 24"